I’ve been here over a year now, and I have presented the works of some inspired songwriters with a lot to say. But New Year’s Eve is coming up fast. For one night, I don’t expect anyone to be thinking about lyrics. What is needed is a great song to dance to. So here is Walk the Dinosaur. I know of three versions of this one. Here is the original. The newest version is by Queen Latifah, and can be heard at the end of the last Ice Age movie. Oddly, the other cover I know of was also done for a kid’s movie. I had no kids at the time, but, for some reason I went to see Super Mario Brothers in the theater. Remember that one? I can’t blame you if you don’t. But George Clinton of all people did Walk the Dinosaur for that one. It was probably the best thing in the movie. Was (Not Was) were a crazed group from the 80s. Music video was the rage, and a lot of bands could do whatever they wanted as long as they delivered a good video. Was (Not Was) took full advantage of this. They would get bizarre, or just down right silly. A few titles will give you some idea: Man vs the Empire Brain Building, Hello Dad, (I’m in Jail), Zaz Turned Blue. But they had a great sense of the groove. Even so, these days, a major label would never touch them. So here is one of those great grooves to dance the old year away. And my best wishes to all in the new one. I used to live with my father in New Brunswick, NJ. One of my chores was to walk two blocks to the nearest bodega, and get the Sunday paper. This would always take me longer than it should have. You see, I had never lived in a city before, and the walk took me past a black Baptist church. I would stand outside that church, and even with the doors closed, I would marvel at the raw power of the sound coming from within. It was the sound and the power of the human voice unleashed. Walking past McCabe’s Guitar Shop in Santa Monica CA on a certain two nights in 1998 must have been a similar experience. That’s because The Persuasions were in town. No, I’m not reviewing an album from 1998. 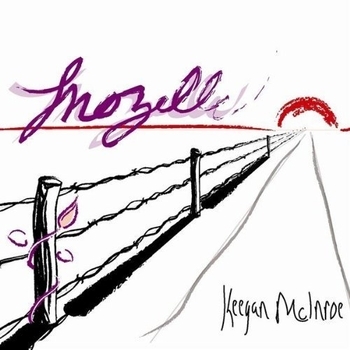 Live at McCabe’s Guitar Shop is a brand new release. But it is a recording of a 1998 performance that is only now being released for the first time. Even more surprisingly, it is the only currently existing live album by the group. Executive producer Rip Rense says in his notes that there are some unreleased live recordings from the 1970s; if those ever come out, I’ll be sure to let you know. At the time of the McCabe’s show, one of the Persuasions was celebrating his 59th birthday, so this album is not the work of young men. It doesn’t matter very much. There are occasional dropped notes, there are some lines sung in full voice that might have been falsetto once, and they probably have to take breaths more frequently than they once did. But the power and precision that a cappella music demands is there. The Persuasions arrive on stage with great energy, and it never flags. Jerry Lawson was the main arranger for the Persuasions during his time with the group, (Lawson left in 2003), and his arrangements here shine. The Persuasions had three basic techniques available to them: they could back a lead vocal line with unison harmony lines; they could have a lead line, a moving bass line, and a cushion of chords sung by the four middle voices; or they could have the moving bass line topped with a call-and-response between the lead and the middle voices. Lawson’s arrangements mix and match these techniques, sometimes within a single song. It never sounds showy or overly busy, but it does make listening to over an hour of just voices continuously exciting. The Persuasions take the stage, and dive right into I Woke Up in Love This Morning. They capture audience immediately. They deliver a wonderful combination of high energy and the total focus that is so necessary to make a cappella music work. After four up-tempo numbers, they switch it up with the ballad, 500 Miles Away From Home. Here is where they could lose it, if they were going to. Switching gears like this requires the greatest concentration, and they pull it off beautifully. Peace in the Valley follows. 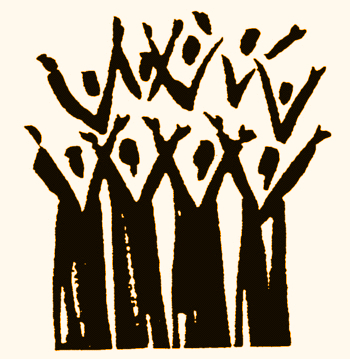 This is another ballad, and the first gospel number on the program. They manage to express a devotion to their faith here which has a different quality than the devotion to earthly love that they had expressed to this point. One of the joys of Live at McCabe’s is the interplay between The Persuasions and their audience. You can tell that they loved their audiences. This recording also preserves much of the between song stage patter, in which the group’s sense of humor is nicely displayed. And you can tell that Under the Boardwalk was a highlight of their shows; here the audience joins the singing, and they group becomes a mighty choir. The program is a mix of gospel numbers and secular ones. The Persuasions show that they live in the world, but that their faith is strong. So Frank Zappa’s song The Meek Shall Inherit Nothing is an odd choice here. It is true that The Persuasions recorded an entire album of Zappa’s songs, including Meek, but here it stands out of context. The song is a scathing rebuttal of “Jesus freaks”. The performance is as strong as any on the album, but the content is jarring. 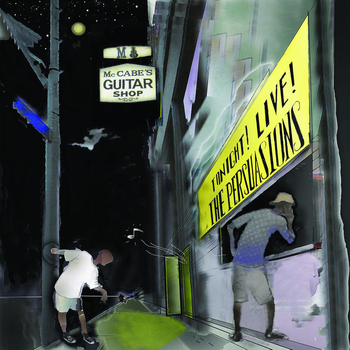 Overall, then, Live at McCabe’s Guitar Shop is a wonderful document of The Persuasions’ live act. While the group is not at the height of their powers, they do show why they remained vital for so long. I have only one other quibble. If you listen to the album straight through, as intended, you won’t notice. But if you want to put a single track on a home made compilation, you will discover that the spoken introduction to a given song is on the end of the previous track. I was limited in which tracks I could post because of this; fortunately, the material is strong enough throughout that I could work around it. Tracks removed at the copyright holders request. preview tracks are available for listening here. I’ll get to the main part of the post in a moment. I just want to clear off some blog business. There was no album review this past weekend. Basically, it wound up under a snow bank. I had things to do related to the storm, and that was the time I would have used for the review. The review I had in mind will now appear next weekend, and be the last review for the year. Now then. Today, Oliver di Place is exactly one year old. So I wanted a song that would represent the spirit of what I try to do here. I needed folk, jazz, blues, even world music flavors. I wanted to celebrate good writing and good singing. And, if possible, I wanted something that would be a gift to my readers, something you might not have heard before. That’s a lot to ask of one song. And the Indigo Girls’ version of Uncle John’s Band doesn’t fill the bill completely. But the Grateful Dead was one of my first musical loves. Various members brought bluegrass, blues, and jazz elements to the band, although you don’t hear all of that on every song, and I wasn’t aware of it at the time. But I think it’s fair to say that the music of the Grateful Dead eventually led me to explore all of those types of music. Mickey Hart would later explore world music, and I would explore with him. And I was always drawn to the storytelling in the Dead’s best songs. Uncle John’s Band is certainly one of those. I know what you’re thinking. Why isn’t he presenting the Grateful Dead’s original version then? Funny thing about that. As I got older, I realized the Dead’s one major flaw: they were terrible singers. Even with the chance to clean things up in the studio, the original Uncle John’s Band is a fine example of this. And the Indigo Girls do a great job of fixing that, revealing that the song is even better than I thought. I hope you can find the album this originally came from. 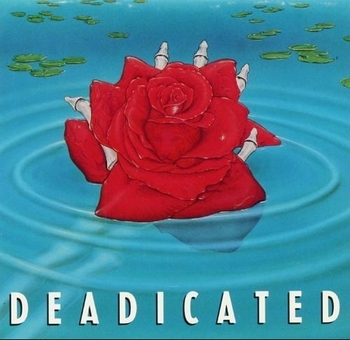 It was a tribute to the Dead, called Deadicated, and it has many other gems on it. In a crime against humanity, the label has allowed Deadicated to go out of print. You can buy it at collector’s prices, but I have provided a purchase link for the Indigo Girls’ Rarities album as a more affordable option. One day, I took the woman who is now my wife to meet a friend of mine. He was the second-in-command at a small record store I frequented, and I often went in to talk music with him. Our musical tastes were almost completely opposite each other, but we strove to find common ground. So the visit went fairly normally, as I saw it. My friend and I got to talking about music, and we got louder and louder. My then girlfriend retreated to the farthest corner of the store in horrified silence. Later, she wanted to know why I frequented the place if I hared him so much. I had to explain that I didn’t hate him at all. To this day, I count among my closest friends some guys with whom my relationship is largely based on passionate arguments. Often, the subject is politics, sometimes sports. But we don’t hate each other. We respect each other’s passion, even if we think it is misplaced. I guess it’s a form of male bonding. What does all of this have to do with my song? Well, one day I walked into that record store, and my friend handed me a tape he had made. Nowadays, he might burn a CD or send me a link to a podcast, but this was 1988. He had made a compilation of his favorite songs of 1988. So, of course I had to reciprocate, and this song was on my compilation. 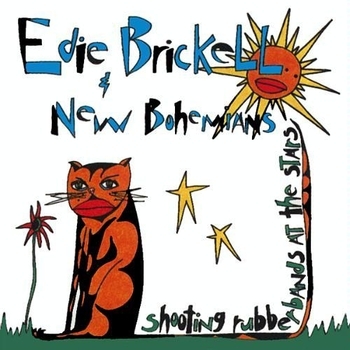 Edie Brickell and New Bohemians made their debut that year. What I Am was the hit, but I have always preferred Air of December. The song is about memory. The key line for me has always been “I swear I remember it that way.” Brickell hints at the possibility that her memory may be wrong. This is the time of year for reunions, and sharing of memories. This song is a useful reminder for those reunions. Maybe it can stop an argument in its tracks. Unless of course, it is an argument you want to have. I would like to wish one and all a happy Hanukkah. 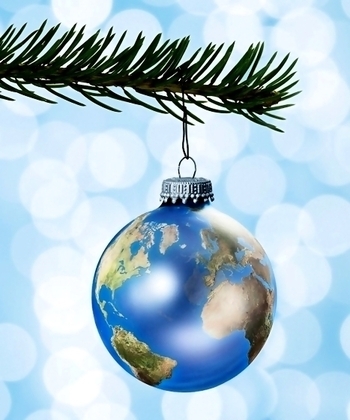 Even if it is not your holiday, I wish you the joy of the season. I was raised in a secular Jewish household. That may sound strange, but it ties in with one of my selections. So fear not, all will be explained. 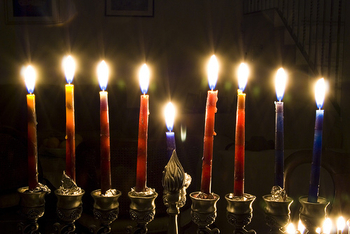 In this post, I will share what Hanukkah means to me. And I have some fine music to help. Jewish holidays always open with a prayer. Rock of Ages is a traditional one for Hanukkah. Marc Cohn, best known for Walking in Memphis, offers a wonderful version. Thanks to Susan for this song. She mentioned it last year in response to the first post I ever put up on Oliver di Place, and this year she sent it to me. Emily Kurn, like me, is a non-religious Jew. But, like me, she observes Hanukkah and, I assume, Passover. How can this be? More to the point, why? Judaism is more than a religion. Some of us feel it primarily as an identity. These days, we can talk of having lost someone “in the camps”, and nothing more needs to be said. Those victims lost their lives, even if they were not religious. Hanukkah, on its surface, is about the freedom to practice religion, but there is more. There is a sense of heritage, of family, and of connectedness. Kurn captures this idea perfectly. Thank you again, Susan, for this song. The story is told that the Greeks had forbidden the practice of Judaism. The Jews hid in caves to study Torah, and posted lookouts. Whenever the Greeks came, the Jews would quickly hide their Torahs, and take out their tops and pretend that they had been gambling. This is why the tops, called dreydls, are part of the Hanukkah tradition. Nun, gimmel, heh, and shin are the Hebrew letters on the four sides of the dreydl. The LeeVees were started by Adam Gardner of Guster and Dave Schneider of the Zambonis. Dona Dona is a traditional Yiddish song, here rendered in English. The song tells us that freedom must be an attitude before it can produce action. This is a theme that runs through many of the Jewish holidays. You must believe in your freedom before you can achieve it. At Hanukkah, this is related to the belief that the Maccabees could prevail against the Greeks, despite the odds. This belief, and the miracle that sustained it, made the victory possible. This last selection has no profound meaning. In the end, Hanukkah is a celebration, an occasion for joy, and a little silliness is not out of place. The winter holidays are upon us. People of faith are celebrating tangible proof of that faith. The Jews give thanks for a small miracle, enabling a day’s worth of lamp oil to burn for eight days. The Christians give thanks for the coming of the Messiah. The scale and significance is completely different, but both are comforts in the darkest time of the year, reassurances that God is there. So 10 Rocks seemed to me to be an appropriate way to welcome the season. Shelby Lynne sings of various hardships, but ultimately, she knows her faith will get her through. This is not a holiday song, but its spirit seems to me to be truer to the season than much of what you will hear in the malls. And musically, 10 Rocks is a joyous celebration. I thought nothing could ever capture this feeling as well as Paul Simon’s Loves Me Like a Rock, but Shelby Lynne has matched it. Shelby Lynne should be better known, but she is a musical chameleon. She tried to make it in mainstream country, and she has also done an album of western swing. So it is fitting that this song comes from an album called Identity Crisis. The music on this album would be labeled Americana, because it’s hard to know what else to call it. My advice would be, instead of calling it, just listen. Love and fear. Most songwriters don’t put them together. But to give love, and keep giving it, often involves great emotional risk. And Anne Heaton knows this. Blazing Red opens with the words, “I’m ready to be afraid, I’m ready to jump”. Heaton plays multiple keyboards here, glockenspiel, and even paper plate, but I’m willing to bet that she does most of her writing at the piano. Most of the songs start with just voice and piano, before the other instruments come in to add texture and emotional resonance. Heaton and coproducer Gary Maurer of Hem make wonderful use of a string quartet on many of the songs, and Heaton’s voice often has the quality of a fifth stringed instrument. I can almost hear the bow moving as Heaton draws out a note. All of this could be an overwrought mess, but that never happens. The emotions here are deep, but never overdone. Blazing Red also presents a rich variety of musical textures, but the album makes sense taken as a whole. Heaton has a gift for crafting a song. Out to Sea is a fine example. There are lines and phrases that repeat throughout, but listen closely. Heaton changes a single word with each repetition, and it makes all the difference. The progression of these changes tells the story of a woman who finally finds the courage to give her love. In Crystalize, the craftsmanship is in the way the music is put together. First, the basic groove is established with electronic instruments; this one almost threatens to become synth-pop. But then, the strings come in with a call and response pattern between the cello and the other strings. From then on, the strings perform a series of variations on these parts, never playing the same thing twice. If you aren’t consciously aware of all this as you listen, it nonetheless has an effect. It’s not for show either; it fits the song beautifully. Fire Sign has an unusual texture, achieved with just piano, strings, and banjo. This would all just be cleverness if the songs didn’t hold up. But Heaton presents a set of songs about being poised between love and fear. The musical tensions and releases only enhance the words. 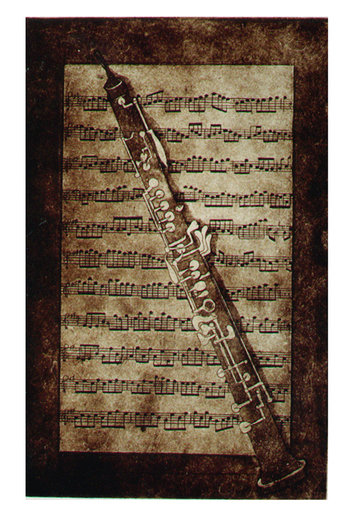 A few of the songs end musically unresolved, just as the situations in the songs do. The words describe different emotional defense mechanisms, and the effort, (not always successful), to drop these defenses. The woman in Pieces of Me talks about trying on different personalities in hopes of finding the one that would appeal to the guy she’s interested in, only to realize that the right one is the one that is her true self. It’s not clear whether she realizes this in time. In Where Your Scar Is, she is trying to draw emotion out of a man who is emotionally scarred from a previous relationship. How identity changes in a relationship, and how having been burned gets in the way of giving your heart again, are themes that recur in different forms throughout the album. 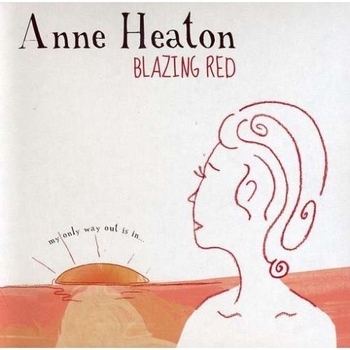 So Anne Heaton takes on an aspect of love you don’t often hear songs about, and she nails it. She and her coproducer provide rich musical textures to help put these feelings across, and it works. The emotions never sound forced, and always sound genuine. I just hope that Heaton is luckier in love than her protagonists. I was born in 1960. The world had lived with the threat of nuclear war for 15 years. 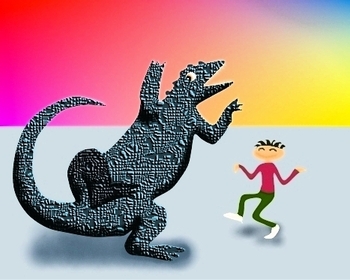 Movies about giant monsters were beginning to give way to post-apocalyptic tales. International politics were driven but the threat of mutual destruction. As a child, I was affected in subtle ways. I was shielded from the brunt of the terror. But the opposition to the Vietnam War was probably colored by this, and I am sure there were other, more subtle manifestations. I do know that this fear occasionally made its way into the music I heard. The enormity of this fear is so great that songwriters try to cope by resorting to black humor. At first, the United States was the only nuclear nation. We were supreme, and could do what ever we wanted. Once that changed, some people felt that we should not have to change that attitude. Randy Newman lampooned this attitude brilliantly in Political Science. But, listening to this song now, I am reminded of how George W Bush conducted foreign policy. Here in the US, we are still dealing with the repercussions from that. Once the Solviet Union also developed nuclear weapons, people became convinced that they had to prepare for the worst. So every home seemingly had a bomb shelter. Thankfully, these shelters have never had to be used for their intended purpose. Still, they are good for something. Donald Fagen explains. 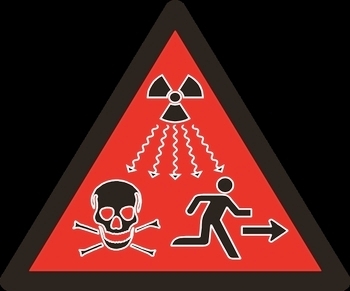 The fear of nuclear war became greater as we learned more about the harm radiation could do. Eventually, we learned that the same thing could result from exposure to waste from nuclear power plants. The Uptones describe this in a song that is all the more chilling because of its seemingly joyous sound. To Fishbone, there is only one possible response to the prospect of going off to fight against the Solviet Union. You might as well party, because you may not get another chance. The attitude here is similar to Prince’s 1999, but Fishbone is more specific about the source of their concern. Sting, with Russians, is only one in this mix who chose to tackle his subject head-on, instead of cushioning it with humor. I can see the validity of either approach. Sting delivers a secular hymn for peace.